Since 2000 SOS Children's Village Murmansk Oblast (previously known as SOS Children’s Village Kandalaksha) has been working in this region in the north-west of Russia. Initially our organisation ran an aid programme reaching out to foster families and children living in orphanages. As time passed, our activities became more permanent and we started supporting local children who were at risk of losing, or who had already lost, parental care. 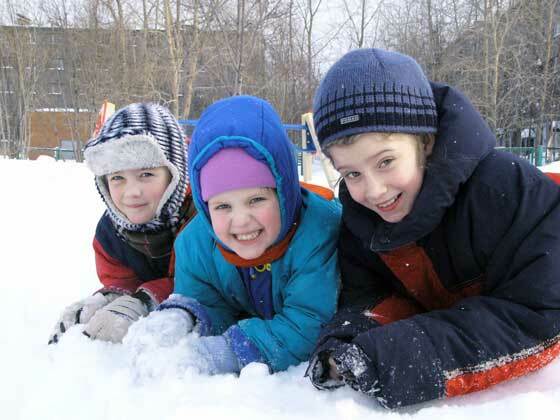 SOS Children's Villages works in two locations in the north-west of Russia: in Kandalaksha and in Murmansk. The city of Kandalaksha is home to around 35,700 inhabitants (2010 census) and around 307,700 live in Murmansk. Although in the recent past there has been a drop in the population, it is hoped that these latest measures taken to increase the birth rate and improve health care will stabilise the demographic situation in the area. The region is rich in natural resources and many people are employed in their extraction, processing and exportation. There is, however, a need for further investment before the significant oil and gas resources can be exploited. The fishing industry is also an important source of income for the area, and fish is exported to many countries in northern Europe. In spite of being located well within the Arctic Circle, the port in Murmansk is open all year round and thus plays a central role in the exporting of goods produced or processed in the area. There is a high number of children who have lost parental care, and also a significant number at risk of losing it. This is especially true of children living in cities which are characterised by a high rate of migration. Due to the economic environment and the level of unemployment, many parents migrate elsewhere in search of work. The children are often left behind with relatives, but in some cases the extended family is not able to care for them appropriately. Very often children in the area cannot benefit from early childhood development programmes, do not attend pre-school or even primary school. Children who have lost parental care and are living with foster families, in state boarding schools or orphanages are likely to receive a poor education and eventually drop out of school. SOS Children's Villages has worked in close collaboration with the local authorities in order to protect the rights of children. As the government has de-institutionalised care, children have often gone to live with foster families. SOS Children's Villages helps to train and support foster families so that they can provide a stable home for these children. SOS Children's Villages’ work in the north-west of Russia started as an emergency aid programme in Murmansk in collaboration with the Norwegian Red Cross. Due to the high level of need in the area, SOS Children's Villages decided to become active on a more permanent basis . Strengthen families: We are very active in the local life - organising and participating in cultural events which involve the neighbouring children and families. In addition, and working with local agencies, our organisation provides family strengthening programmes which include counselling and psychological support to local families and children. The programmes also aim to provide children with essential access to services which will promote their development (for example, clothing, nutritional and health support, and social skills). Parents are given advice on parenting skills and income generation. The social centres in Murmansk work closely with the foster families in the area - not only do they provide financial aid to foster families, but qualified staff also provide training and support to foster parents. Care in families: When children lose parental care they can move into an SOS family where they are cared for by SOS parents. We also have SOS foster families who are living in the village – these families take part in all aspects of life in the village. SOS Children’s Villages provides support to these families, and co-funds them along with the Russian state. The children attend the nearby kindergartens and schools, and take part in local activities.